Recently I’ve been spending my mealtimes watching The Office. I was a viewer during the 9 glorious seasons of this show, and I would say it’s easily among my favorite sitcoms of all time. First, I’m incredibly impressed by how the show managed to stay true to itself despite a revolving cast of characters. I didn’t give this aspect of The Office the credit it deserved when while watching it live. I only really noticed it now that I’ve watched several seasons over the span of a few weeks. Every season there are a few new characters and a few characters that leave (permanently or for long stretches), yet the show still feels like The Office. I give the writers full credit for this. It gives me hope that that rumored reboot will be just as good as the original. Second, a few days ago I reached the final season with some trepidation. I remembered it being a little sad, and not just because it was the last season. I’m in the middle of it now, I realize that there’s a little bit of manipulation in the writing that I’m not a big fan of (despite how much I love the vast majority of the writing). Specifically, I’m referring to the Jim-Pam dynamic. You may recall that Jim finally decides to start something of his own in the form of a sports-marketing company in Philadelphia. This is hard for both him and Pam, and while Pam tries to be a supportive wife while being true to herself, it clearly wears on her. However, I wonder a little bit if the writers took this too far in essentially painting Jim as the bad guy in certain episodes. There’s one episode where Pam calls Jim repeatedly in the middle of an important meeting, and the writers try to make the audience sympathize with Pam. In the next episode, Pam drives all the way to Philly to surprise Jim, and we’re made to feel bad for her when Jim doesn’t have much time for her in the middle of the day at a startup he just started. I adore Pam, but even more than that, I adore Pam + Jim. All I want is to see them be good to each other and have that pure love that the rest of us can aspire to find. It’s the heart of the show, and I wish the writers had taken a different approach to it. What are your thoughts on The Office? Would you watch a reboot/continuation of it? What’s your favorite sitcom couple? This entry was posted on Sunday, March 25th, 2018 at 8:38 pm	and is filed under television and tagged with television. You can follow any responses to this entry through the RSS 2.0 feed. Totally agree, especially about the Jim/Pam thing. I was always rooting for Pam+Jim, but I really didn’t love Pam during that storyline you described and I resented the writers for trying to be on her side. I also credit the show for making characters that could have easily been one-dimensional stereotypes really compelling and endearing. They were often barely presented as anything more than a stereotype and we STILL loved them for years on end. It blew my mind a little bit. It’s not without its faults but what a ride it was! “I also credit the show for making characters that could have easily been one-dimensional stereotypes really compelling and endearing.” I love this! I absolutely agree. I genuinely care about all of the characters in the office, even though many of them only have a few lines each episode. I’m dreading what comes next in the final season with Jim and Pam. I don’t remember all the details, but I think the stuff I described just gets worse. Hopefully there are a few episodes at the end where all is good. I’m a big fan of the Office. I recently did a partial rewatch with some friends and seasons 2-4 are the best seasons of any sitcom in my opinion. 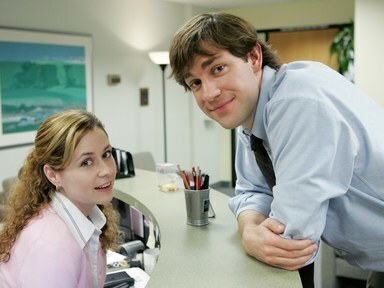 Like you, I love Jim and Pam, especially in the early years before they actually got together. However, for me, once Michael left, The Office just never felt the same. As much as I enjoyed Jim, Pam, Dwight, Andy, and the rest of the crew, Michael was the central element that tied it together for me. I finished season 7 and watched a few episodes of season 8, but never actually finished the series. I hear the last season was actually pretty good and would love to get some closure after all these years but I’m afraid it still won’t be the same without Michael. Should I pull through and finish it? And unless they have some really amazing ideas or find a way to bring back Michael, I would prefer they leave it alone rather than a reboot/continuation. Just my 2 cents! Charles: I’d highly recommend finishing it (it’s all on Netflix). One thing I realized in watching it is that as good as Michael was, in my opinion, the show works when ANY boss is in place, because everyone who has worked in an office can relate to that dynamic. It’s another reason why the last season is a little odd, because there isn’t really a boss in the office then (but the other characters make it work). I agree that it’s very smart writing and probably one of the best comedies ever written for television. There are so few lines that fall dead. Pretty much every line is necessary, there’s not much fat in it. On top of that, the ensemble cast was just about perfect. I agree with Charles about Steve Carell being the glue that held the show together. I feel like, in seasons eight and nine (and, really, late season seven), the show just lost its way. Some of that has to be because of the loss of Carrel but there were fewer episodes written by Mindy Kaling and B.J. Novak during those seasons too. Maybe that had something to do with it. But you’re right about how they wrote characters well. (Again, casting played a huge role in how they could swap out people.) And the chemistry between John Krasinski and Jenna Fischer’s characters felt so genuine, I think, while Carell held the show together, it was Krasinski and Fischer who kept the engine running. Anyway, love The Office. Reboot? I don’t know. I think I’d probably pass. Well said, Dave! I knew that Mindy and BJ left the show as actors for the final season, but it didn’t occur to me that they’d stopped writing for it as well. I can see how that would make a big difference. I finished a complete rewatch of The Office about a month or two ago. I agree with everyone that the show lost its footing after Michael left, although there are still a lot of fun moments. As far as Jim and Pam are concerned, Jim seemed to forget he had a family once he moved to Philadelphia; he didn’t do a great job balancing work and his home life. However, Pam didn’t do a very good job communicating with him about that or realizing/accepting that their family dynamic would change and adjusting accordingly. Although I hated to watch them go through that, it rang pretty true at the same time. I’ve seen that happen to friends in real life, so I appreciated how they portrayed it. I would give a reboot a try, but probably only if it had Steve Carell in it. I don’t love reboots in general, as they never seem to totally recapture the magic of the original run. That’s a good point about Jim. I have a feeling the next few episodes will show more of that side of him. I’m curious how it turns out, as I don’t remember how he and Pam resolve it. I have a feeling it involves Jim leaving the startup, which seems unfortunate (can’t people in sitcoms have their dream job AND their dream relationships? ), but we’ll see. I totally agree with all of this! Leslie and Ben are the greatest sitcom couple and so supportive of each other. And you have to love Cones of Dunshire! ? The Office has a wonderfully significant place in my heart. I watched the entire series in a month while watching my infant child because of some health problems that required us to watch him 24 hours. So, during my late-night shifts, I watched The Office to keep me awake and aware. Busting a gut laughing constantly also helped a lot. Jim and Pam’s relationship struggles was something I did enjoy. Although it felt more the product of decisions writers made to introduce drama, rather than something the characters organically would have chosen, the part I appreciated was the process of working through it. They begin to go through marriage counseling. They learn communication skills. They learn to express their feelings in a more straightforward manner. They learn to accept each other’s feelings, whether they agree with them or not. It doesn’t always work out, and it’s an awkward struggle. My wife and I used some clips from this last season when we taught a Strengthening Marriage class at our church. The skills are displayed in a humorous way, but are based on real principals in the field. It also shows that marriage counseling is a struggle, but a worthwhile one. Even great people benefit from it. It isn’t overwrought, and it keeps it Office charm, just as many of the great Jim and Pam moments from previous seasons did. I definitely want to leave this beautiful series alone, so I’d love to never see a reboot. I’d rather just get more of The Good Place on Netflix soon! And, as Katie said, I think Ben and Leslie from Parks and Rec edge out Pam and Jim. The Office is wonderful and I was surprised at how funny it stayed even after Michael left. I’m especially fond of the evolution of Jim and Dwight’s friendship. As for Jim and Pam, I thought their struggle was painfully real and in hindsight I’m glad to have watched TV’s most perfect couple go through a rough patch. Jim wasn’t honest with Pam when he first began working with the startup so I didn’t have any trouble sympathizing with her while she tried to let him follow his dream but was stuck home alone with the kids. I sympathize a little with Jim too, being in the middle of a big meeting and not having time to explain everything to Pam fully. But I thought it was mostly just an accurate depiction of what distance does to a relationship, and it was essentially less about them being good or bad and more about the struggle of having a partner who isn’t around enough. If Jim and Pam can’t do it, can anyone? I won’t spoil it for you but I think the writers end up handling it really well. In fact I remember crying a lot at what happens. Oh and I am not looking forward to the reboot but I will watch it, of course.